Like musical notes flowing across an auditorium, this piece seeks to fill the viewer with the same sense of calm through the rise and fall of the oval shapes. Individually, each piece is simple and uncomplicated, but, when they all come together, there is elegant complexity. This piece seeks to draw the viewer in to it's elegant simplicity of repetition of form and the rhythm of the repeated form. The pieces are arranged in a manner to embody the rhythm and flow of music. The ovals themselves are arranged in a manner that allows them to overlap each other, creating a layering that plays with the three dimensionality of the overall piece. 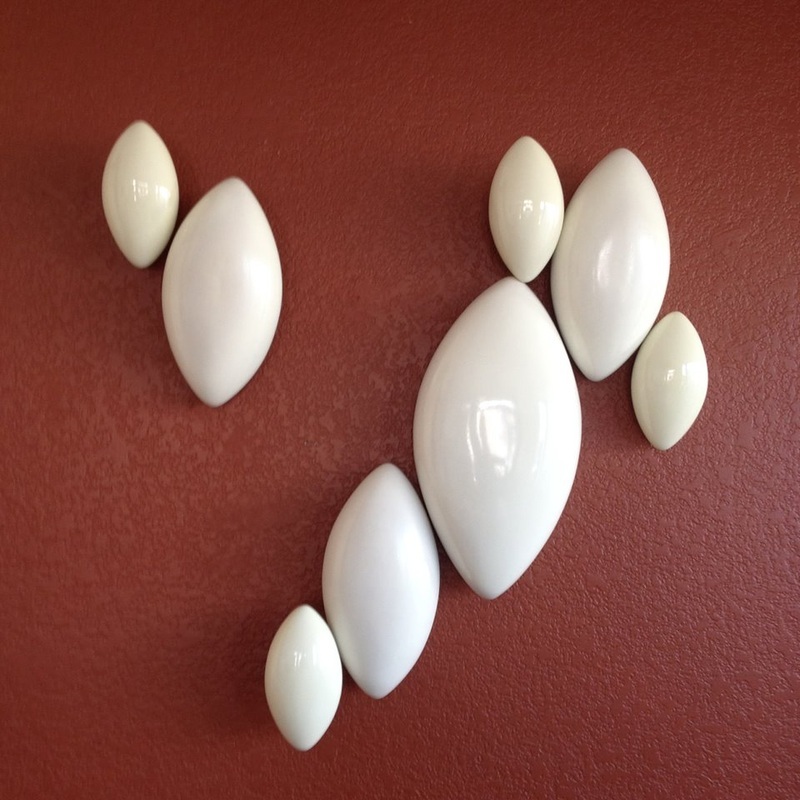 This is a lovely installation piece that would look elegant in any home, and is especially strong when displayed on a colored background. This work of art is securely attached to the wall through the use of a French cleat system.